How to recover data after formatting? Most PC users considers the format the hard disk action, permanently erase data and information contained on the disk. In fact, the formatting creates a new address table on the Winchester, and with the help of special utilities for data recovery you can easily recover the lost information at any time. 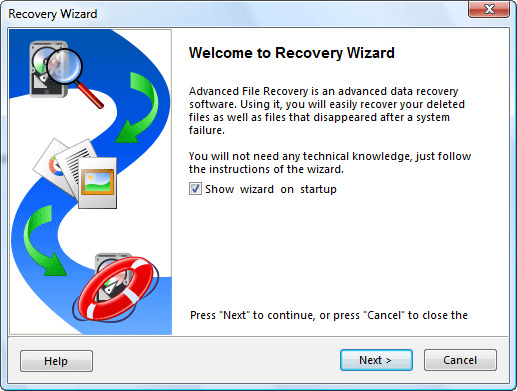 For recovery lost after format files use the convenient and easy to use Data Recovery Wizard that allows you to recover almost all of the documents and directories of the hard disk even from damaged partitions. The program supports hard drives of all interfaces and all types of file systems. Run the program and in its main window, select Format Recovery. The program will automatically display a list of partitions found on all logical diskx your system. If the desired disk is not listed, use the option Advanced Recovery, which will help to restore the field with a serious injury. Select desired partition and click Next. Be patient, for some time, depending on the size of the hard disk, the system will scan the data and analyze the file system. After a while, the scanning will end and you will see the directory tree found on the formatted disk. Mark all directories, files and folders you want to restore, and then click Next. Before you save the data, specify a path – never try to save recovered files to the same drive where they were originally located. This can lead to overwriting of files and their final destruction. Take care of the additional hard drive, which will be enough free space to save all the recovered files and folders. Specifying the save path, click "Next" and wait for the end of the operation – if a lot of files, perhaps they are saving will take a long time.